We are the Bayshore Music Project, home to the Bayshore Symphony under the direction of Artistic Director and conductor, Chip Bergeron. The Bayshore Music Project has brought musical presentations to local schools as part of our outreach efforts. Our objective is to make good orchestral music accessible to musicians as well as music enthusiasts. In addition to the established repertoire, we look for opportunities to perform – and on occasion, commission – works by local composers. Bayshore Music Project is a 501(c)3 non-profit organization of volunteers, both amateur and professional, who share our dedication to bringing affordable orchestral music to audiences in western Washington. Chip Bergeron has been Bayshore’s Artistic Director and Conductor since Fall, 2014. He is an accomplished cellist who has performed in a number of symphonies, including the Whatcom Symphony, and has toured internationally with the Mantovani Orchestra. 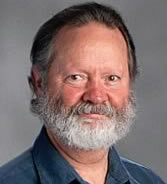 Chip is also Artistic Director and Conductor of the North Sound Community Orchestra, and teaches orchestra classes for the Bellingham Public School System. Bayshore’s second Artistic Director and Conductor (from 2012-2014) was Travis Sipher, who continued the work of our founder, to build a unified symphonic ensemble. Travis has a degree in cello from the music program at Western Washington University, where he recently completed his teaching degree. 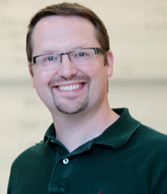 He served as assistant conductor of the Eugene Community Orchestra and has taught orchestra in area schools. Travis accepted a new position in Olympia, WA in 2014. Kathleen Ash Barraclough founded the Bayshore Music Project in 2004 and was its Artistic Director until 2012, bringing it to a remarkably high level of performance. Her skill and knowledge served the Music Project well. 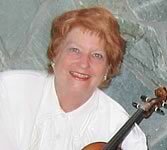 She was a professional violinist who performed nationally and internationally as a soloist with a number of orchestras and also was the founding director and conductor of two local youth orchestras. Kathleen lectured on various topics including the music of Bela Bartok, baroque violin ornamentation, and the art of conducting. Bayshore was very fortunate to have her leadership and experience to guide us in our early years. © 2019 The Bayshore Symphony. All Rights Reserved.